My mind is definitely still in Hawaii this week. Do you remember my article about the pineapple homewares trend from last year? It shows no sign of slowing down, which is great, because this is one fruit that makes me happy. 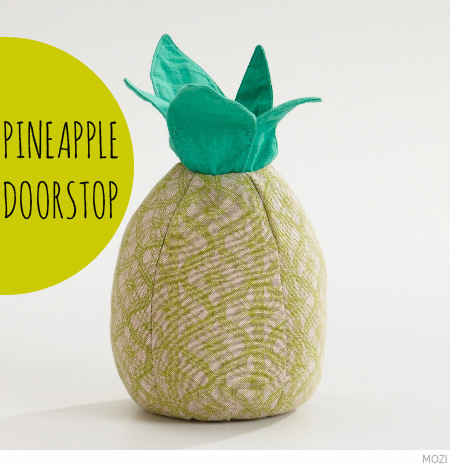 I love this cheery 25cm tall pineapple doorstop from Australian lifestyle label MOZI. It's super-cute and super-useful and reminds me that even in the middle of winter, the pina coladas are not far away. Head over to the MOZI store online or check out one of their stockists.